Termeh: Didn't you say it's not serious? A Separation is a lot of things, but it can be boiled down to a domestic drama mixed with a courtroom drama. The film is Iranian and it is the country’s official submission for awards consideration (and it will likely win the Oscar, among other awards). It has been well regarded all over and was at the top of many Best of 2011 lists. Knowing all of that going in, I was not really thinking this film had a lot to live up to, nor was I skeptical about how good it could be. My main concern was how a film like this could be gripping enough to really elicit such a strong response. With that in mind, coming out of the film, I found myself to be completely transfixed by how gripping this story was. 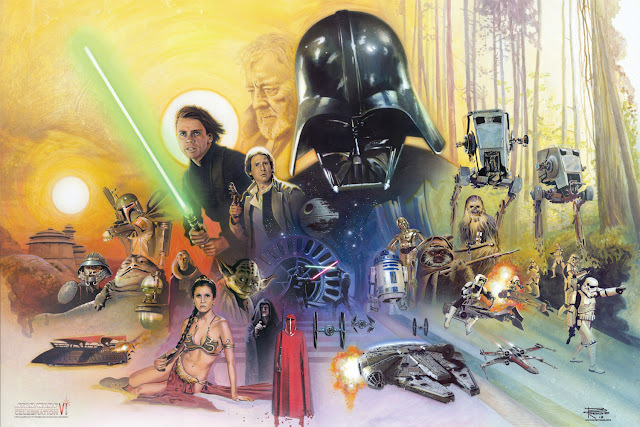 The different ways more layers involving the characters and themes of the film were revealed over the course of the run-time kept the film engrossing and the strength of the low-key, but precise direction made it all the more effective. Saying “simplistic” in terms of the style of this film would be a misnomer, because there is a lot going on in this fantastic film. The story revolves around an Iranian couple going through a difficult time in regards to moving abroad. Simin (Leila Hatami) wants to live abroad, hoping for a chance at better opportunities for herself, her husband - Nader (Peyman Moadi), and her daughter – Termeh (Sarina Farhadi). Nader refuses, because he needs to stay in Iran and take care of his father, who has Alzheimer’s disease. Because of this, Simin wants to get a divorce, in order to be able to go abroad with Termeh, but Nader does not approve, Termeh is on her father’s side, and the family court judge does not find enough in the situation to approve of the divorce. Due to all this, Simin moves in with her parents, causing the titular separation. As the separation makes it incredibly difficult for Nader to work, look after his daughter, and take care of his father, he goes with a recommendation from his wife to hire help. This help comes in the form of Razieh (Sareh Bayat), a deeply religious, pregnant woman, who comes from a poor district. Despite a long commute and having to bring along her very young daughter, Razieh takes on the job of taking care of Nader’s father during the day, but quickly finds it to be much too difficult in her condition. From there, a number of specific occurrences happen, which leads into the film becoming much more complex. 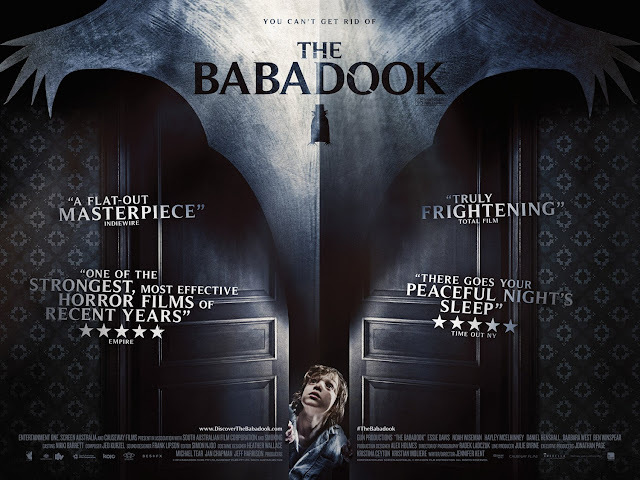 It is interesting how well this film was able to keep me engrossed in its story. 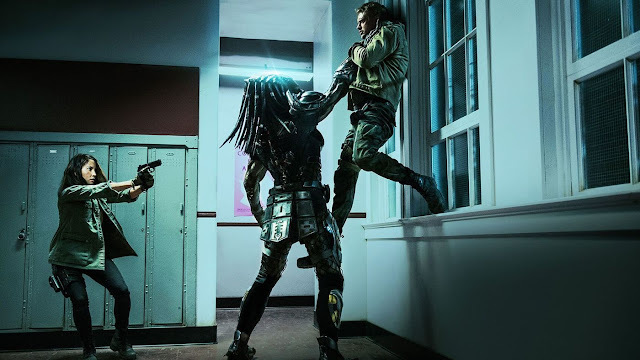 From the outside, it seems like a very simple film and even as it started out, I was curious as to how a story like this, entertaining or interesting as it may have seemed early on, was going to find its way into becoming something that communicated why this, of all films, was receiving so much great praise. Eventually, none of these thoughts really factored in my mind as I was watching the film. 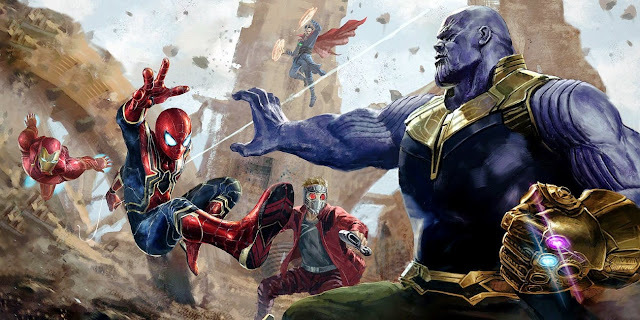 I was gripped by the story, which was thanks to the number of ways different aspects involving the characters, minor plot points, and various thematic notions all came about and held my focus on what really mattered – the film on its own. With foreign films, there is sometimes a struggle for me to really commend the actors, because for all I know, their portrayal of a certain type of character may not be accurately portrayed in the eyes of those from that same country or maybe the dialect is misused in some way, etc. 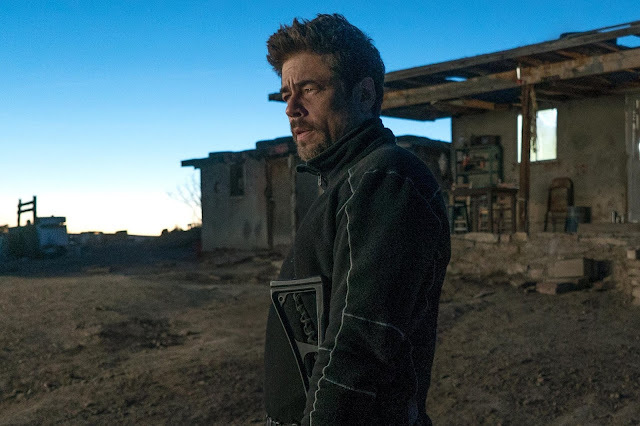 In this film, I want to say I can put that past me, because despite reading the subtitles, as opposed to hearing and understanding the words coming out of the characters mouths, I feel like I saw everything in the performances that stemmed beyond words. Watching the character of Nader struggle in the way he does with the various amounts of drama that seems to be attacking him from all sides, before having to rethink about his behavior, given how the story unfolds, is just one example of how effective I think the performers are. The back and forth between the characters, the presence that each performer brought, it was all well played. The way the story unfolds makes up a lot of how effective I think this film is. 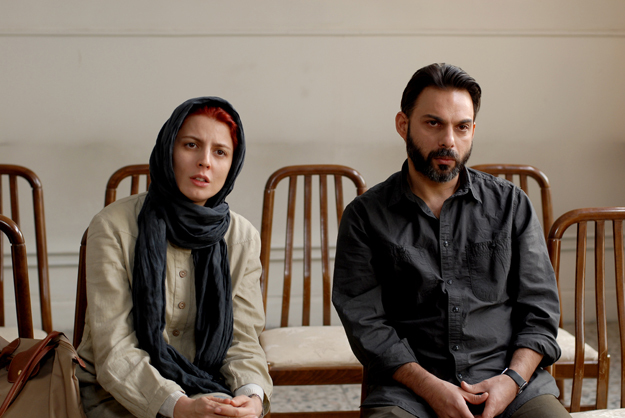 A Separation does a lot with providing ways for the viewer to attach themselves with certain characters or justify a certain perspective, based on how the film chooses to reveal specific plot points. The way one hears a story be told versus the way it is gone over from a different angle keeps the viewer on their toes, while also keeping them keen on maintaining a proper sense of understanding for all of the parties involved. 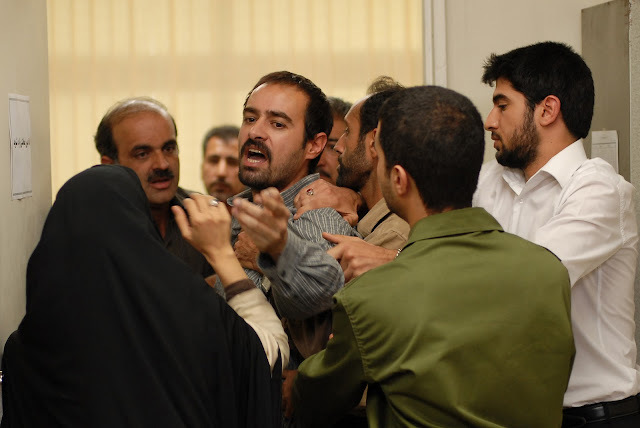 Given that much of this film involves the law and the Iranian court system, the way opposed individuals explain and react to various plot points also keeps a particular grey area over matters throughout the film as well. It is not that the film purposefully hides anything; it is the way it rightfully approaches how to show the audience what is needed effectively. On top of all of this, there is a level of social drama occurring as well. Nader and his family come from a middle-class lifestyle, while Razieh and her hot-tempered husband, Houjat (Shahab Hosseini), come from a lower class and are separated by religion. The way these elements factor into the various arguments all manage to further propel the story and my own interest in it. These are not elements that are taken for granted, but instead feel applied in an authentic manner, better serving the story in a way that deals with my initial wonder as to how a film like this could stand to garner so much praise. All of this has basically led to me saying that this film is pretty fantastic and I have very little to say in the way of minor exceptions. 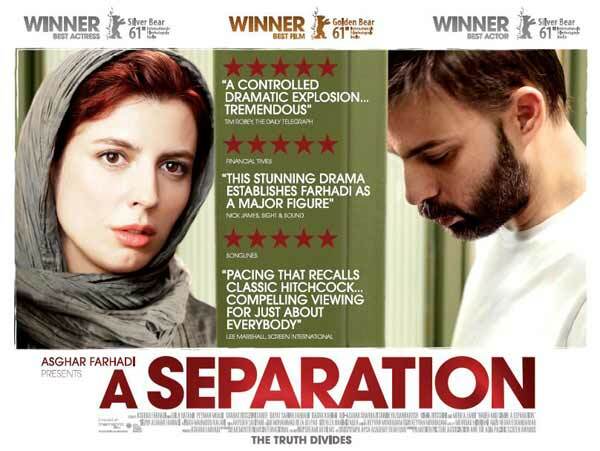 Writer/director Asghar Farhadi has put together a feature that is very well made in a very non-flashy manner. There is next to no music in this film and everything is portrayed in a fairly straight-forward sense. There is an incredible amount of subtlety in how the film sets up scenes, especially when some are called back to later on. And adding to everything is the strength of these performances, each one very key to the film, with strong work from the child actors as well. 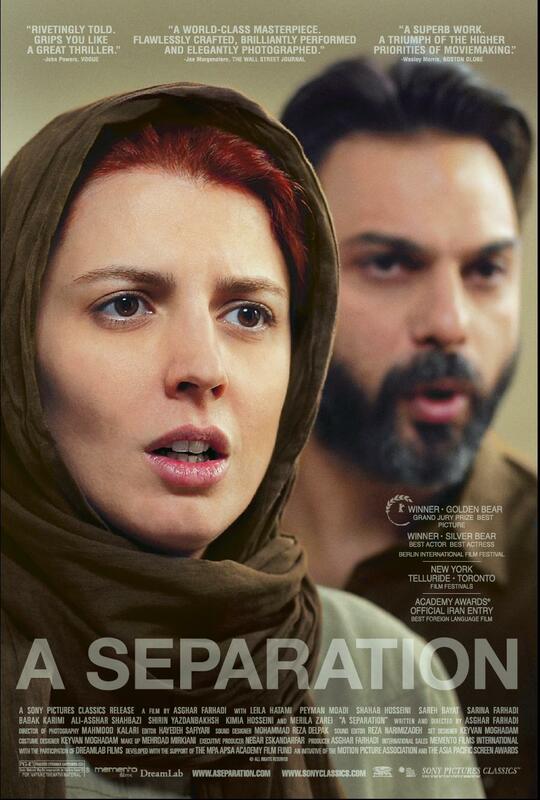 A Separation is a great film that balances a strong story with moral complexity, while the filmmakers show complete control in how everything should come together.